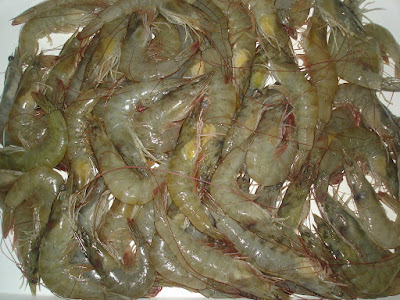 Vannamei shrimp farming keeps growing enormously especially in these recent years as this shrimp has high value among the customers who loves to consume it. The farming of this litopenaeus vannamei used to be done in small number. But with the development of more advanced farming practice, now they are able to farm it in large number for commercial usage. Furthermore this shrimp species has fast growing rate thus the farming period can be reduced. This makes the farmer able to gain profit faster, thus shrimp farming for this species beginning to increase every year. 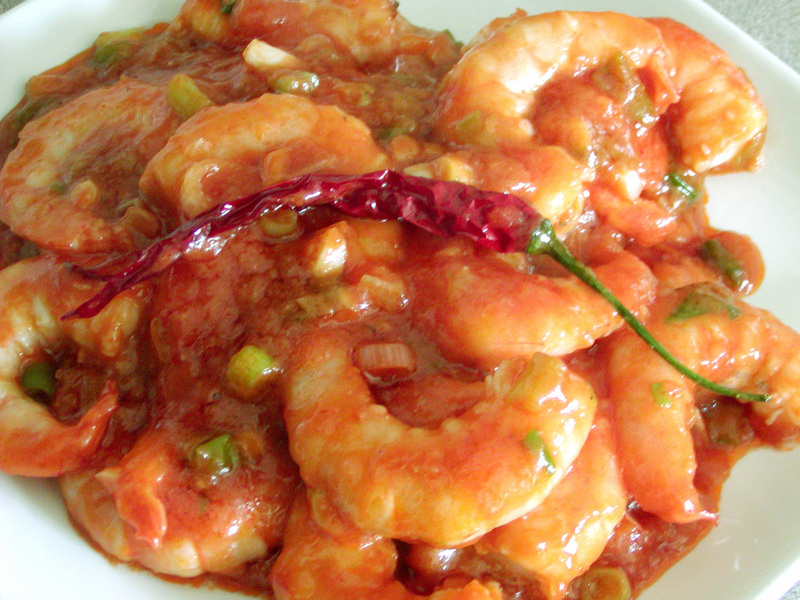 Now the farming is not only done in US countries but Asian countries have also done farming for this shrimp species. 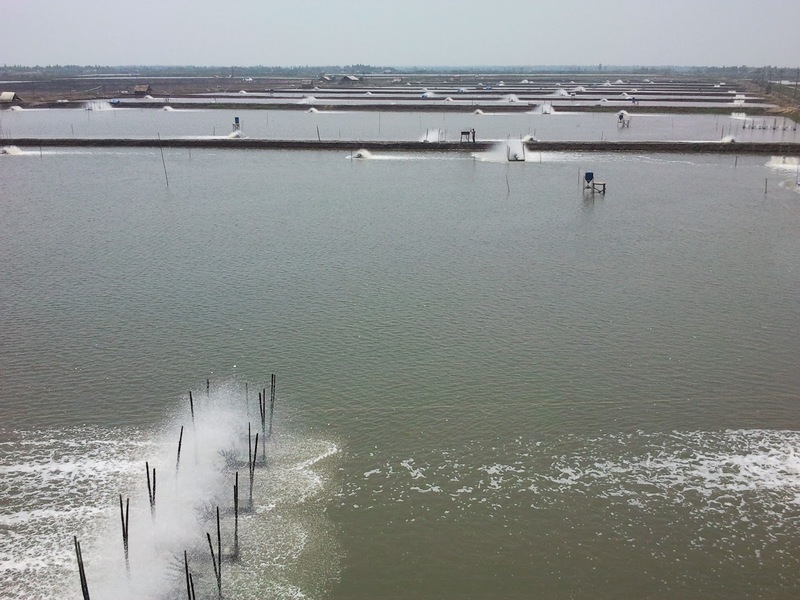 The vannamei shrimp farming begins by getting a special SPF/SPR broodstock which usually taken from the US countries as they are able to produce broodstock that has no pathogen. But usually, it is only done for new farms as the old farms already able to farm their own broodstock. That broodstock is sometimes also sold to other farmers so the farmers are able to get their broodstock locally instead of taking it from the US countries which surely cost more money to get. To do the vannamei shrimp farming then the broodstock will be stored inside special maturation tank which located on dark room. This maturation tank will be filled with filtered and clean seawater to ensure the condition for spawning is fulfilled. Then the nauplii which spawn are taken out from the tank to be moved into the rearing tank. This tank usually has U or V shape and created using material which lined with plastic. In this tank the water will be changed regularly to ensure the environment condition is good enough for the shrimp to grow. Usually the larvae are stored in this tank for around 21 days before being move into the pond for growing. The pond will be used for intensive vannamei shrimp farming thus it will be located in area without any tidal waves or even in area which very far from the sea. By doing this then the pond can be drained completely so it can dry out then it can be prepared for the next stocking of shrimp in the next farming period. Furthermore, this practice also able to increase the result that the farms get thus it has become popular practice on the farming method. The pond itself is usually made with soil however, sometimes the farmer also add some lines as it can reduce the erosion of the pond as well as enhancing the quality of the water inside the pond. When the shrimp is already moved into this pond, then the quality of the pond will continue to be monitored to ensure everything is in suitable condition for the shrimp to grow. And that includes the water condition which should have certain quality for the shrimp to grow well. 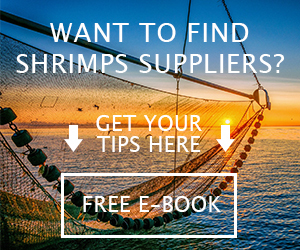 In the old days the water will be exchange regularly, however with the recent technology, now the water exchange can be reduced without losing the quality needed by the shrimp to grow well. 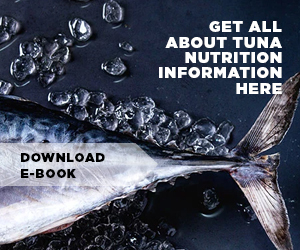 At first, the shrimp product which stored inside the pond will be feed using protein food. 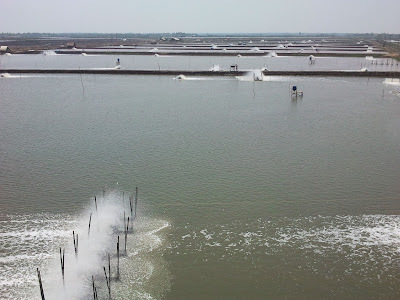 But with the development of vannamei shrimp farming technology, now the farmer are able to create system which ensure there are good amount of bacterial flocs formed inside the pond. This bacterial flocs are then used by the shrimp as their food source, thus they would not need to be feed using the protein food anymore. This will then reduce the production cost needed by the farmer while growing the shrimp on the pond. When the time comes for harvesting, then the pond will be dried so the shrimp can be taken out. They might also pump out the water from inside the pond so it will completely dry out. But usually the pond already has a gate used to flow out the water from inside the pond. Then the farmer will attach nets to that gate while open the gate to let the water flows out from the pond. Then the shrimp which caught on the net will be taken out from inside the pond and harvest easier by using this unique vannamei shrimp farming method.